Only Stauer can give you 240-carats of genuine amethyst. Stauer smashes the luxury status quo with the release of our 240-Carat Lusso Amethyst Necklace & Earrings Set. Order now and we'll send you this impressive helping of genuine amethyst at this exclusive Stauer price! We cut the price as our thank you for your loyalty. There are no tricks or gimmicks. You aren't obligated to spend another dime or dollar with us... although we make it VERY hard to resist. Why give you this drastically reduced price on fine jewelry? We want your attention. Once you get a closer look at our rare gemstone treasures and vintage-inspired watches, and once you discover the guilt-free fun of getting “Luxury for Less,” we're betting that you'll fall in love with Stauer. A collection of purple perfection. Your Lusso Amethyst Necklace & Earrings Set is a 240-carat symphony of smooth purple genuine gemstones. 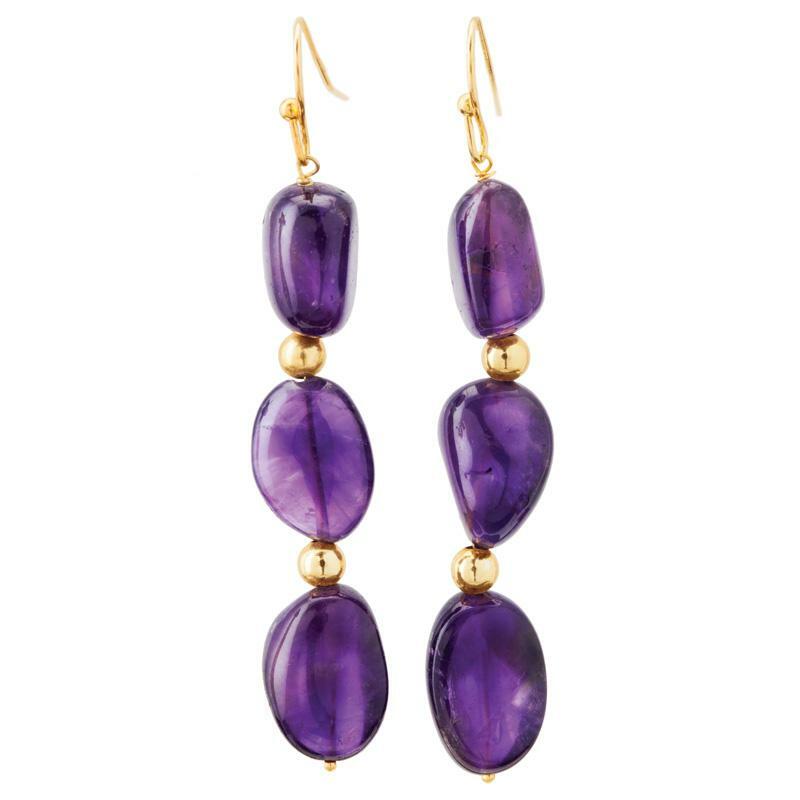 Each gemstone's shape and translucence ignites the velvety, violet hues. The polished amethysts are hand-set on double-knotted jeweler's thread, and the stunning 18" necklace (with 2" extender) secures with a gold-finished lobster clasp. The 40-carat earrings secure with French hooks. Once you wear them, you'll see that it hangs with the same weight and elegance as similar strands that sell for hundreds more. A rare surprise... Amethyst is one of the world's most coveted gemstones and our supply is extremely limited. An offer this good will not last very long. Act now to reserve your Lusso Amethyst Necklace & Earrings Set today and treat yourself (or someone you love) to a brilliant new definition of priceless luxury!